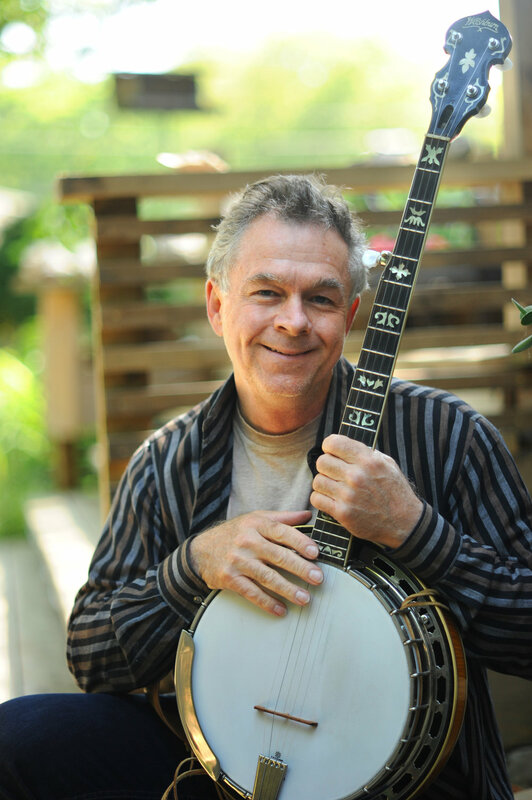 Mike is a professional Banjo player and Evanston “lifer” who has played in numerous ensembles including The Heartland Grass Stains and The Milestones. He is an enthusiast of all music styles, with the exception of crappy tasteless tunes that all genres are susceptible to. He is a “True Believer”, recognizing how music can instantly propagate and transmit love and imagination within the hearts of the listeners and players as no other medium can. Mike is also a professional photographer whose editorial credits include images published in The Washington Post, Chicago Tribune, Chicago Sun Times, Screen Magazine, Streetwise Popular Science, Evanston Review, and North Shore Magazine, to name a few. His celebrity photography includes His Holiness the Dalai Lama (personal photographer for his 2011 visit to Chicago), President Barak & Michelle Obama, Michael and Juanita Jordan (various family events and parties), Tina Turner (concert coverage for Hanes Hosiery), James Taylor (private concert), and Kenny Rogers (Chrysler Corporation). In addition to actively participating as a judge, Mike is a proud sponsor of the Bitter Jester Music Festival, donating a professional photo shoot to a winning band each year.